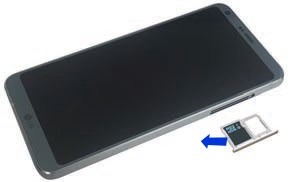 Don't remove the SD / Memory Card with the device powered on because it may harm the card and/or the device. 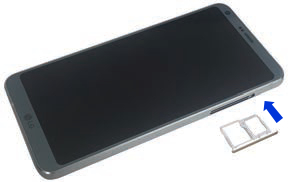 Using the provided tool (or paperclip), pop out the SIM/SD / Memory Card tray (located on the top edge). Remove the SD / Memory Card from the tray. Si es necesario, vuelve a insertar la herramienta en el orificio en la parte trasera de la bandeja para hacer salir la tarjeta. Si corresponde, consulta Insert SD / Memory Card.